This Friday Favorite has captured our wedding-dress-loving hearts. Combining two of our favorite things, this sparkling gold ballgown is the embodiment of romance with a hint of glamour. Shimmering lace adorns the bodice of this ballgown, Chevonne, before drifting into a voluminous skirt. The epitome of romance, this gold ballgown is fit for nearly any bride: the traditionalist seeking a timeless silhouette, or the modernist seeking a flattering shape with an updated twist. If you’re a hopeless romantic, try your hair in loose waves or an extravagant updo, and soft, subtle makeup. For a more chic look, try a structured top-knot paired with a dramatic red lip. What do you think of this stunning gold ballgown? Would you wear Chevonne on your wedding day? 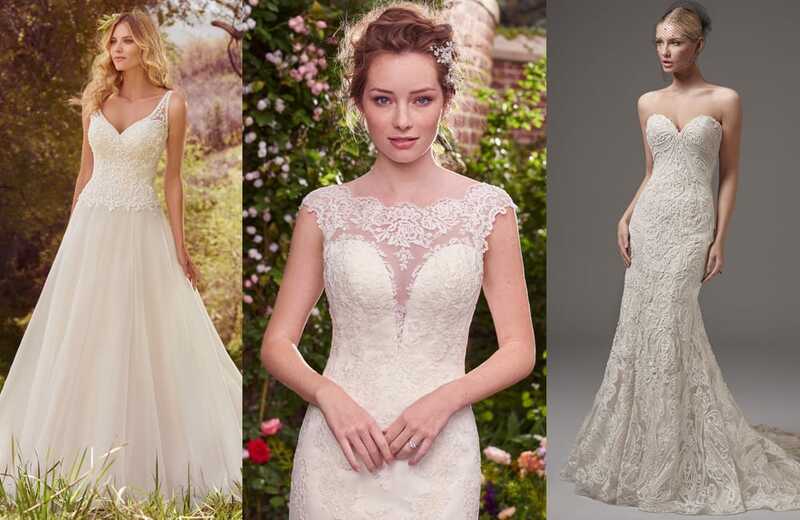 Note: Chevonne has been discontinued, but see our Katherine and Alandra gowns for similar styles!